Home > Starting the New Year With a Bang! I started my new year off with a bang. Literally. 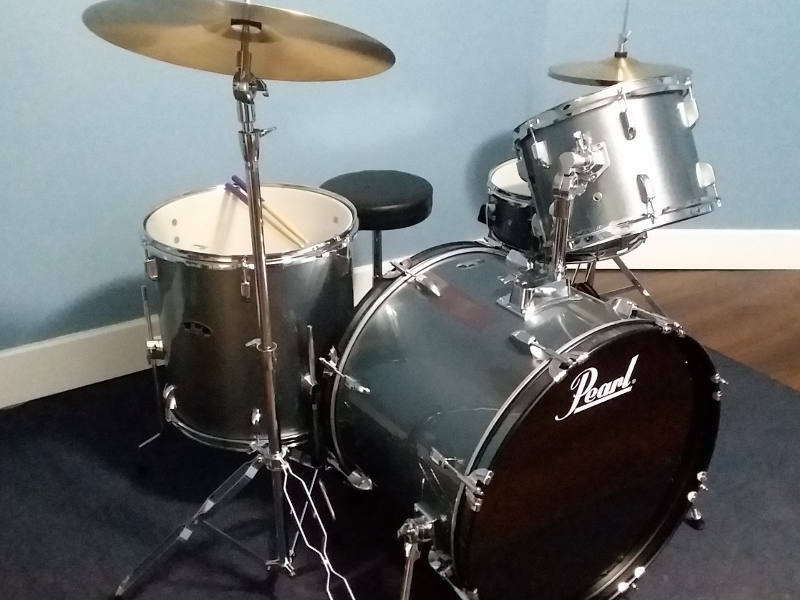 I bought a new drum kit over the holidays: a Pearl Roadshow 5-piece fusion drum set in charcoal metallic. You’ll note the smaller tom is missing, with the larger tom in its place–I packed the smaller one away. I only wanted a four-piece kit, but the included hardware, cymbals, and throne made this set the one to get, and I’m glad I did. Nice! Jerry Schwartz is a novelist and the creator of The Jerrys, a power pop band from Chicago.